E-mail is a common medium of communication in academic settings, and its informal nature has given rise to unique discourse strategies that can advantageously combine the norms of oral and written language. Unfortunately, e-mail is also a potential source of misunderstanding. Some teachers, annoyed by the informalities that characterize this discourse context, interpret students' messages as demanding, impolite, or unprofessional. For many students, however, e-mail is outdated, and some use it only in the university context, opting to text, facebook, or tweet their family and friends. 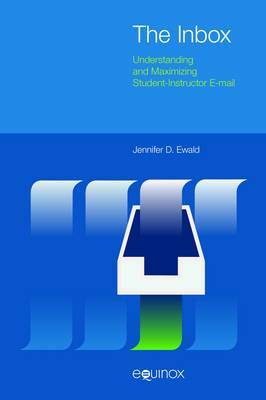 This book provides a detailed analysis of 1,403 e-mail messages sent by 338 university students to a professor of Spanish and linguistics.This research has several goals: to analyze features of students' messages that reveal their beliefs about the norms for student-teacher e-mail exchanges; to explore the effective incorporation of the conventions of both oral and written language in this particular discourse context; to identify patterns or rhetorical strategies used by students in e-mail to perform certain pragmatic functions, such as making a request, offering an excuse, expressing gratitude, apologizing and complaining; and, to identify students' choice of language for e-mails to their teacher and the pragmatic functions for which they chose to write in their first or second languages. Each of the chapters specifically addresses several pedagogical implications and identifies areas for additional investigation.